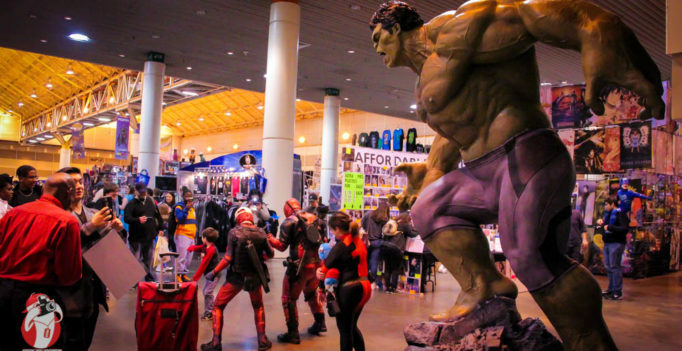 The Wizard World Comic Con in New Orleans was a 3 day success featuring The Godfather of Comics, Stan Lee. Further enticements to celebrity seekers included: Henry Winkler — The Fonz, Jason Mamoa, David Tennant, Ian Somerhalder, Holly Marie Combs, along with other amazing actors, writers, comic artists, costumers and cosplayers. It was three action packed days of panels, presentations and pop-art. No matter what you were looking for at this convention, you could find it. 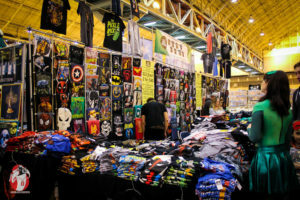 In the lower level vendor area, booths offered tshirts related to popular characters, tv shows, and comics. One jewelry vendor had unique bracelets and necklaces celebrating favorite tv shows such as Big Bang Theory, Once Upon a Time, Harry Potter, Disney, Gotham and others. The Madhatter had a booth selling variety of hats & pocketwatches. Other booths had guns, swords, armor and unique handmade items, leather bound journals and paintings. Meandering the aisles one could even get cosplay items including Vampire and Werewolf teeth corsets, vambraces, pouches & more. Whether the craving was for cheesesteaks, Chinese, pizza or Cajun cuisine, it was at Wizard World. Wild Bill’s was in attendance selling many varieties of homemade rootbeer, cream soda and ginger ale in their exclusive Wizard World Steins. Singles found fun and friendship with a Speed Dating adventure in the Comic Con world while James Morris and other authors came to take readers to other worlds of their creation. All around the Morial convention center were cosplayers in costumes ranging from Dr Who, Disney Princesses, Anime characters, and Harley Quinns on the prowl for Her Pudding – the Joker – and keeping watch for the Batman. Saturday nights costume contest had categories for heroes, villains, anime and group cosplays. One hundred entries graced the stage looking to win the Best in Show “Thors Hammer.” A group of the Guardians of the Galaxy, Star War’s Padamè, even Rick & Morty’s Pickleman showed up for the show. Sunday wrapped up the final hours of fun with more panels by actors and authors and last minute items to be found. Fans finalized purchases of pictures and signatures with their favorite celebrities. 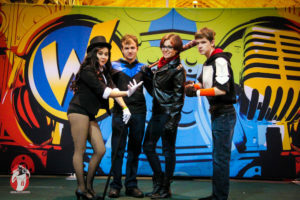 The three days of action packed fun concluded as thousands of Wizard World devotees wearily returned home.